Some have been sick because of the night rythm of the mountain , some will say it was the jacuzzi and others may say that is because all were injured after an intense and athletic afternoon which led to a painful end. (And when I say intents and athletic , I mean I run 10 meters and falling at number 5). This battle needs a full post that will come later , once we collect all the evidence. Arquid finally focuses on telling what we’ve been doing all this year. We are not some blog on the internet, we are going to be The Blog! (comments will be happily take into account).We are a work in progress!. We want to share our collaboration elbow to elbow( Spanish expression-spanglish, like Don´t get cat by rabbit, or killing flies with a cannon), under the intense heat of the capital in the month of July. 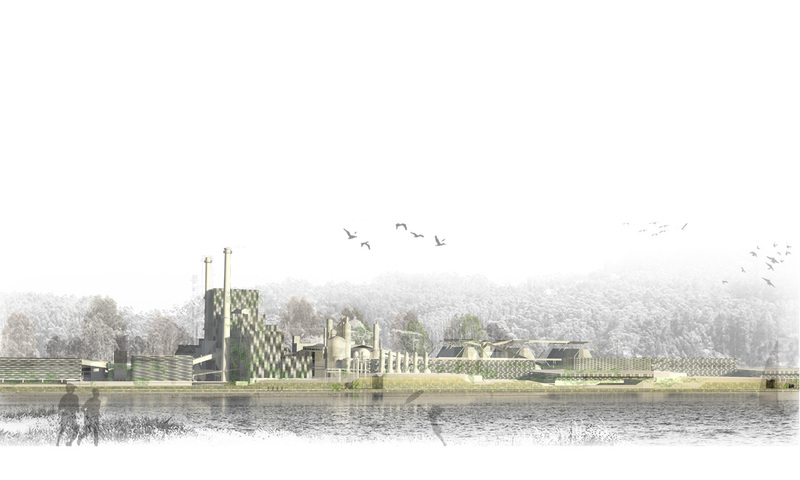 A competition landscape rehabilitation; ENCE in Pontevedra. We end being the 4º candidate over 100 proosals. Yes yes ! You are readiing correctly! . And who is our partner, our mus companion, the Jing of our Jang , The Sancho of our Don Quixote, our Watson , our Mr Hyde … a growing engineering team IPS SPAIN ( http://www.ipsspain . is / is , I leave you the link so you can see how they rock) . 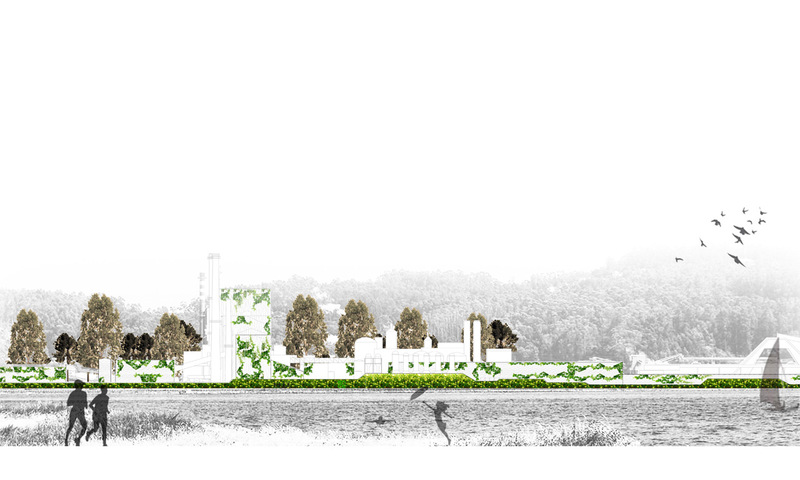 In short this is a contest to landscape recovery of an area of Pontevedra. The story tells of many years of complaints from the neighbors because of a paper factory that were built long ago. The project aimed to enhance the existing landscape , the views, and the strengths of the relevant building facades wrapped with perforated and opaque metal leaving the green invade it and letting the place take control of the factory. (Live like galegos! Si chove que chove!) . Unos habrán enfermado dado al ritmo de la noche montañesa, otros lo achacarán a un jacuzzi y otros podrán decir que todo se debe a que se lesionaron tras una tarde intensa y atlética que derivó en un final doloroso. ( Y cuando digo tarde intentsa y atlética, me refiero a correr 10 metros y caerte en el número 5). Esa batalla necesita de un post completo que vendrá mas adelante, una vez recojamos las evidencias necesarias. Arquid se centra por fín en empezar a contaros que hemos estado haciendo todo este año 2013, porque no somos un blog cualquiera. Eso nunca!. Queremos compartir nuestra colaboración codo con codo, bajo el calor intenso de la capital en pleno mes de Julio. Un concurso de rehabilitación paisajística para ENCE en Pontevedra que resultó ser el candidato 4 de entre mas de 100 propuestas. Si si! Como lo estais leyendo!!. Y quien es nuestro compañero de partida, nuestra pareja de mus, el Jing de nuestro Jang, el Sancho de nuestro don quijote , nuestro Watson, nuestro Mr Hyde… el increíble equipo de la ingeniería IPS SPAIN (http://www.ipsspain.es/es, os dejo el link para que podáis ver el nivelón). En definitiva se trata de un concurso que buscaba la recuperación paisajística de una zona de Pontevedra. La historia nos habla de muchos años de quejas por parte de lo vecinos hacia una fábrica de papel que se instauró tiempo atrás. El proyecto buscaba potenciar lo existente, la vegetación, las vistas, y los puntos fuertes de la construcción envolviendo las fachadas pertinentes en metal perforado y opaco invadido por vegetación autóctona mimetizándose con el entorno usando el arma del reflejo de un paisaje gallego gallego ( de esos que a medida que vas llegando a ellos no puedes evitar coger aire y cerrar los ojos. Vivamos como galegos! Si chove que chove.!) .